Over 500 indoor cycling, zumba and yoga enthusiasts, are expected to participate in the 11th Annual Ridin’ for Research, an ultra-endurance fitness fundraising event benefiting the MACC Fund – Midwest Athletes Against Childhood Cancer, Inc. which supports research into the effective treatments and cures of childhood cancer and related blood disorders. The MACC Fund is leading the fight against childhood cancer and related blood disorders. The primary beneficiary of MACC Fund support is the Midwest Children’s Cancer Center with research conducted in the MACC Fund Research Center of the Medical College of Wisconsin. Research is also conducted at the Paul P. Carbone Comprehensive Cancer Center of the University of Wisconsin- Madison. 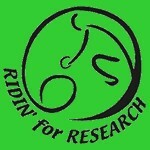 Ridin’ for Research will be held on Sunday, February 27, 2011 at the South Milwaukee Middle School Gym in South Milwaukee. The indoor cycling bikes are donated by area health clubs including Elite Sports Club, Bally Total Fitness, Le Club Sports Club, Harry & Rose Samson Family JCC, Milwaukee Athletic Club and several area YMCAs. Since its 2001 inception, Ridin’ for Research has tripled in participation and has raised over $840,000 for childhood cancer research and related blood disorders. The per rider entry fee is $30 plus pledges and includes a great t-shirt, goody bag, fresh fruit and high-energy snacks. Support throughout the ride will be provided by the UW-Milwaukee’s Women’s Basketball team under the direction of Coach Sandy Botham. Space is limited and the event is filling up quickly! Ridin’ for Research is sponsored by Barrett Moving and Storage, Emery’s Third Coast Tri-Shops, Schwanke-Kasten Jewelers, Exciting Events, Goodman Advertising, Archer Promotional Services, Sabor & Wild Buffalo Restaurants, Bartollottas, and South Milwaukee School District. Participating facilities include Aurora, Ballys, Elite, JCC, Gold’s, Le Club, MAC, Be Fitness, Princeton, Westwood, Innovative, WI H&F, Sneakers, WAC, local YMCAs, and more. Call the Ridin’ for Research Hotline at 414-456-5830 for more information as to how you can volunteer or ride in this great event or register online at www.ridin4research.org.